Solutions to food waste and loss exist — from better packaging to wireless sensors to behavioral science. How do we make them more prevalent to increase their impact? Around the world, one-third of the food produced for human consumption is not actually consumed, according to the United Nation’s Food and Agriculture Organization. Despite high demand — even in the United States, one in six individuals lacks food security — perishable food often misses its mark, at epic proportions. Globally, this adds up to 1.3 billion metric tons of uneaten food annually. Not only that, but growing and transporting that food is estimated to produce 3.3 billion metric tons of greenhouse gas emissions per year, making wasted food one of the largest contributors to emissions in the world. In mid-2013 the British grocery chain Tesco released startling data regarding food loss and waste across its supply chain and in its stores. Up to 68 percent of bagged salad is trashed before being consumed, it found. Fortunately, food waste is coming to light as a societal and environmental problem in great need of fixing — in the U.S. (where food is the biggest single component of landfills and wasted food is a $165 billion problem) and around the world. Also fortunately, there are a number of solutions — ranging from very low tech to high tech to really no tech at all — that promise to stem the flow of food from farm to the landfill. In mid-2013 the British grocery chain Tesco released startling data regarding food loss and waste across its supply chain and in its stores. Up to 68 percent of bagged salad is trashed before being consumed, it found. Much of that waste happens in consumer’s homes, where the salad languishes until it spoils. Tesco admits its culpability, though, through running promotions that include two-for-one specials on large bagged salads. Therefore, it is changing its promotions scheme, focusing on smaller portion sizes, and also addressing other procedural fixes, such as putting less fresh food on display, running “mix-and-match” promotions and adjusting bakery output to match demand. In the U.S., Stop and Shop found that less is more when it comes to displaying produce: fewer fruits and veggies being handled on the sales floor means longer lasting, fresher stock in the back room. That helped the $16 billion grocery chain save $100 million annually, starting in 2008. Rather than taking sell-by dates as gospel, we consumers can reduce waste inside our homes by relying on our own senses — smelling and inspecting foods to gauge freshness. Proper refrigerator temperature settings and storage will extend the time produce remains fresh and tasty. That said, one low-tech aid can extend those hours or days by two to four times. Called Fresh Paper, each large square sheet is infused with natural antifungal and antibacterial herbs and spices. Kavita Shukla, an Indian American from Boston, developed the patented product based on tea recipes she learned from her grandmother in India, where Shukla accidentally drank some unfiltered water and feared she would contract an illness. The tea kept her well, and inspired Shukla to start experimenting with similar mixes of herbs, following a hunch that they could help keep food fresh. “Most of it was trial and error,” says Shukla, but she eventually landed on a good recipe. Though she originally expected Fresh Paper to take off in the developing world, the product has done very well in the U.S., where Shukla went from hawking Fresh Paper at farmer’s markets in 2011 to selling through the grocery chain Whole Foods. She now ships the product to 35 countries. Plus, for each sheet sold, Shukla donates one sheet to a food bank or other deserving organization. FreshTec, a California-based start-up founded by grocery industry veterans, has developed a shipping carton and transport system designed to stem food loss while also opening new markets and reducing the energy used to ship and preserve fresh fruits and vegetables. Conventional shipping cartons have ventilation holes designed to allow chilled air to circulate around the product, but this also allows the produce to continue ripening and exposes it to bacteria and pathogens, which contribute to loss. FreshTec’s patented packaging technology, called SmartPac, employs a breathable plastic liner inside a cardboard carton, which is sealed with a plastic lid. It’s part of a growing segment of food packaging using modified atmosphere technology. The liner and plastic lid slow the amount of oxygen entering the carton and also trap some of the CO2 the produce expels, effectively putting it to sleep for up to a month of travel time. This means the produce can be harvested when ripe — rather than pre-ripe, a strategy that allows for a long transport but robs the food of taste and some nutrient value. SmartPac opens the door to transporting produce via ship rather than by more costly and energy-inefficient aircraft. Overall, FreshTec provides more time for produce to reach the market, reducing the likelihood of loss or waste, while offering the added benefit of choosing a lower carbon transportation option. Near the end of the supply chain, as perishables move from supplier to distribution center to retailer, they are often exposed to non-optimal temperature or humidity inside transport vehicles as they move through a wide range of climates. Often, a retailer has no clue as to whether perishables remained within a safe temperature range before landing on the receiving dock. It only takes a poorly placed pallet or a faulty refrigeration unit to cause some or all of the food to get too warm or cold, subjecting it to an early demise. 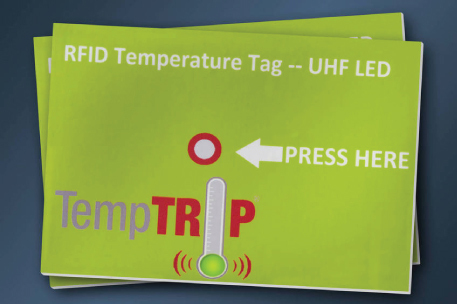 But increasingly affordable and accurate wireless sensors, from vendors including TempTRIP and Sensitech, mean retailers and distributors can gain unprecedented visibility into the conditions to which produce, meats, dairy and fresh seafood are exposed during transit. Retailers can choose the level of granularity they want — from placing a sensor in each carton or putting one on each pallet or just one inside each refrigerated truck. Upon receipt of a shipment, temperature logs are quickly downloaded from the sensors, showing any suspect temperature variations. This lets the receiver zero in on products that had suboptimal exposures and place those on the sales floor first — maybe even at reduced prices to move them quickly rather than losing them altogether — since they will have a shorter shelf life than the goods kept at the right temperature during transit. The sensors also allow supply chain partners to zero in on problems with refrigeration systems inside trucks and clear up disputes around culpability for premature food spoilage. When it comes to how food is managed in high-volume food service end points, such as hotels, casinos and hospitals, “waste is baked into the process,” says food service entrepreneur Andrew Shakman. But his background at a technology company that worked with the food industry helped him devise a way to change that. In 2003 he founded LeanPath, which now helps more than 150 clients in the food-service industry reduce food waste and lower food costs — generally by 2 to 6 percent. LeanPath quantifies how much food is thrown out in a commercial kitchen due to spoilage, expiration or overproduction, with the goal being to reduce food purchases to match demand. Shakman says the LeanPath approach is based not in number crunching but by tapping into behavioral sciences. A camera linked to a countertop scale documents each portion of food before it enters the garbage bin, giving photographic evidence to, say, a tray of doomed tiramisu. 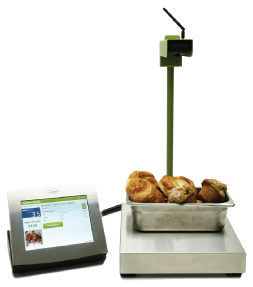 Rather than creating a draconian environment for food-service workers, however, LeanPath turns waste reduction into a sort of competition, using scoreboards that encourage workers to change their practices and allowing managers to analyze the data to understand the underlying causes for waste. Even companies unmotivated by the food — and therefore energy and water — savings that these technologies enable are eager to stem the financial losses from trashed product. Yet questions remain in terms of execution. Still, Shakman sees the problem of food loss and waste as a business opportunity; preventing food waste in the U.S. can save $8 billion to $20 billion in the food-service industry, he says. It can touch consumers’ bottom line, as well. 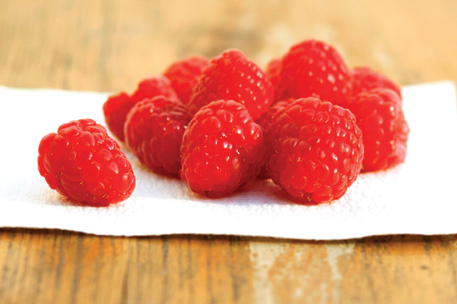 Users of Fresh Paper, for example, report household savings of up to $60 per month in grocery bills by using the product to extend shelf life. All told, a combination of technologies in all parts of the supply chain could have dramatic effects environmentally and financially.